What is wrong with my UPVC door? This is the question more and more people are asking themselves these days. UPVC doors are becoming increasingly popular now, due to their high security features and relative cheapness, compared to a wooden door. However, a UPVC door has more working parts than the old wooden door. Where there are more working parts, there is more potential for things going wrong! At Alcatraz locksmiths, our UPVC door lock repairs Edinburgh guys specialise in diagnosing, and repairing these types of doors. Through many years of experience, we have learned how to open, repair, and replace all UPVC mechanisms on the market. Listed below are some common problems people encounter with UPVC doors. Inside a UPVC door there is a metal mechanism. When the handle is lifted from either side of the door, a series of locking features will pop out of the mechanism. 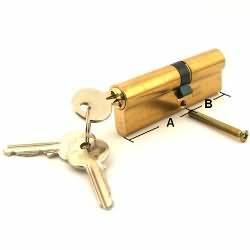 When this action is performed on a closed door, the locking parts will pop out the mechanism and stick into holes in the door frame. These type of locks are excellent for security. When locked it is the equivalent to having many different locks on the same door. The most common reason why these type of locks break, is due to poor door alignment. When the door has moved out of its normal position, the locks that come out of the door mechanism, no longer align with the door frame holes. Therefore extra force is needed to make the door lock into place. Unfortunately, unless the problem is addressed, it is literally a matter of time before the locking mechanism breaks. The best way to avoid a broken mechanism is to call a professional locksmith. They will realign your door, so there is no force required to lock the door. When a UPVC door wont open, it usually down to the problem described above (door misalignment). If it has been allowed to go on too long, the mechanism will have broken. 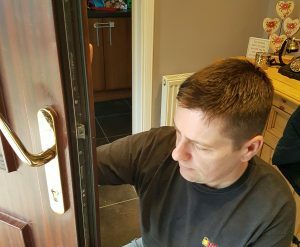 If it broke whilst the door was shut, the job can be a real pain for a locksmith, depending what has broke, and the type of mechanism in the door. Most times the locksmith will have the door open in under 5 minutes, but occasionally there are some jobs that can take ages to open. That’s why we recommend using a local locksmith with fixed prices. If you want to save money do not use a national locksmith company. 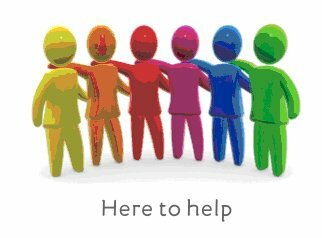 Call our UPVC door lock repairs Edinburgh service, we will give you some free advice if you are in doubt. Another reason a UPVC door wont open, can be due to a faulty barrel. This could be down to vandalism, such as someone putting glue in the lock. However, more often than not, the barrel has simply reached the end of its life. This type of job is an easy fix for a locksmith. They will simply extract the barrel, open the door, and replace it with a new barrel. This type of job should cost the customer no more than £90. If the quote is higher than this amount, the customer has probably phoned a national firm. Sometimes people complain the handles are broken on their UPVC door. Their handles will either not budge, or the complete opposite, they will just hang down floppy. In both instances, it is not the handles that are broken. It is the gearbox within the UPVC mechanism that has broken. The broken part within the gearbox, prevents the handle from performing its normal operation. Once the door is opened, and a new gearbox fitted, the handles will return to operating perfectly. I can lock my UPVC door but i cant get the key out? This is a common issue most locksmiths deal with, many times a year. However, what causes this problem? and how can it be fixed? The picture to the right is what is called an euro lock. This is the type of lock that is fitted on almost all UPVC doors. When someone puts a key in the lock and turns it, the black part in the middle of lock (cam) will turn. When the cam turns to the 12 o’clock position, it will lock and unlock the mechanism of the door. Once the door is locked or unlocked, the cam will need to travel back to the 7 o’clock position, before the key can be extracted from the lock. Most euro locks will only lock, or unlock, if there is NO key in the other side. This is, more often then not, the main cause of euro lock malfunctions. If there is a key in one side of the lock, and someone puts a key in the other side, and forces the lock to turn. The cam in the middle of the lock will twist out of its natural position. Fair enough, the person may have been able to lock or unlock the door. However, because the cam is now out of position, the person will no longer be able to pull the key out off the lock. As mentioned earlier, the cam needs to be around the 7 o’clock position to extract the key. It is possible to take the lock out of the door, and put the cam back into its natural position. However, once a cam has been twisted out of alignment, it will usually have lost its natural strength, and will easily go out of alignment in the future. The best fix for this type of problem is to replace the cylinder with a new one. 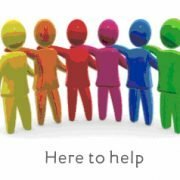 We hope this ‘UPVC door lock repairs Edinburgh’ page has been useful to you. If your require a professional locksmith at an affordable price, don’t hesitate to call Alcatraz locksmiths for a free quotation today.